Data matters. When one walks through the vast hallways and packed meeting rooms at ASCO’s Annual Meeting, it’s easy to see masses of men and women. Yet, a blurry view of the population doesn’t answer the question: what part does gender play in Annual Meeting participation? The 2017 Annual Meeting marked the first time that ASCO asked about the gender of its 39,400 attendees. This initiative was adopted after an informal poll by Dr. Knoll of female/mom oncologists in the Hematology Oncology Women Physician’s Group on Facebook was shared with the ASCO community and sparked a conversation regarding childcare as a possible barrier for some potential oncologists. (Poll results were referenced and published with permission from the Facebook group administrator.) The goal of this initiative was to gather the facts about who was attending the Annual Meeting. This information was important to help identify the scope of potential gender disparities in participation in this valuable professional opportunity. 28.8% of female early-career ASCO members attended. 28.5% of female full members attended. 28.7% of male full members attended. 23.1% of female members-in-training attended. 20.7% of male members-in-training attended. This appears to be good news overall. Both men and women registered for the meeting at generally similar rates, despite slightly fewer female early-career oncologists attending than male early-career oncologists (28.8% vs 33.2%). Interestingly, a slightly higher percentage of female members-in-training attended the meeting than their male counterparts (23.1% vs 20.7%). We hope this means we can expect for more women physicians to rise to leadership positions within medicine and oncology. By coming to the Annual Meeting, female oncologists are telling ASCO and the oncology community that their voices matter and they want to be part of the conversation. We need to amplify these perspectives by continuing both observation and intervention. To allow for interventions seeking to promote equity and diversity to be targeted appropriately, we need to continue to collect the data. The ASCO Meetings Department will continue to track gender for meeting attendees and invited presenters. Choosing competent speakers from minority groups not currently well represented at the Annual Meeting enhances the range of perspectives in ways likely to benefit our collective intelligence as a field. The Scientific Program and Education Committees invite speakers for each Annual Meeting. Per information obtained from these committees, they are encouraged to choose diverse faculty, including gender, race, practice location, and institution. These metrics are tracked after each meeting and this information is carried forward to the next year’s committees to aid with promoting equity and diversity in speaker invitations. Once collected, the data should be used in a deliberate fashion. This is the surest and fastest way to create an inclusive and unbiased platform for speakers of all backgrounds. In addition to gathering the data for meeting attendees and invited speakers, we recommend that ASCO begin to track abstract presenter data as well. This will help us evaluate this issue objectively: are there more male or female presenters of research overall or by format (oral versus poster presentations)? As a community, we should aim for equitable representation of women and men in all aspects of the Annual Meeting. Where unexplained differences exist, we must seek to understand why the demographics of those influencing the research, educational, and care delivery missions of our profession diverge from those of eligible participants and the patient populations we serve, so that we can develop targeted, evidence-based interventions to ensure the equity and diversity our field needs to succeed. The Nursing Room is located in Room N227A, North Building, of McCormick Place and has lockable rooms and refrigerators. For the first time, the Meetings Department has provided childcare resources on the website for the 2018 meeting. The Women’s Networking Center is located in Room S502, South Building, at McCormick Place. This space was developed by the ASCO Professional Development Committee to facilitate attendees’ formal and informal discussions related to women in oncology. We are also extremely pleased to share that for the 2019 Annual Meeting, ASCO will be providing onsite childcare. As ASCO volunteers, we commend ASCO for taking this vital step to ensure that all attendees are encouraged to participate in the conference. Providing onsite childcare removes a potential barrier for many parents to attend. ASCO will now join other oncology organizations that also provide onsite childcare for their conferences, including the American Society of Hematology (ASH) and the American Association for Cancer Research (AACR). Let’s keep asking the hard questions and looking for effective answers. We look forward to sharing details about the upcoming 2018 Annual Meeting attendees and presenters. If you haven’t yet registered, please do! Whoever you are, and wherever you’re from, we need to hear your voice, too. Acknowledgement: We would like to extend a special thanks to Mandy Davis-Aitken, ASCO's vice president of Meetings Services, for her help with this initiative, data collection, and blog post. Dr. Jagsi is a professor and deputy chair in the Department of Radiation Oncology at the University of Michigan and director of the Center for Bioethics and Social Sciences in Medicine. In addition to her medical training at Harvard Medical School, she served as a fellow in the Center for Ethics at Harvard University and completed her doctorate in Social Policy at Oxford University as a Marshall Scholar. The author of over 200 papers, including over 50 studies of gender equity in the medical profession published in high-impact journals such as JAMA and the New England Journal of Medicine, her research in this area has been supported by the National Institutes of Health and numerous philanthropic foundations. Dr. Jagsi serves on ASCO’s Board of Directors, but the views expressed here are her own. 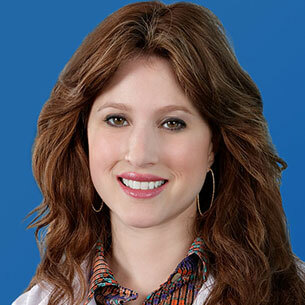 Dr. Knoll is a radiation oncologist at the John Theurer Cancer Center at Hackensack University Medical Center. She serves as medical director of the Department of Radiation Oncology at Hackensack University Medical Center/Mountainside. Dr. Knoll is an associate senior editor for ASTRO’s Advances in Radiation Oncology.